Decorative Branches will add a rustic look and style to flower arrangements. Perfect for wedding and special occasion floral decoration. Decorative Branches are use for decorating your home too, may sound weird and outlandish but the idea is catching on and we’re in the mainstream of the new decorative approach. The design ideas are limitless for innovative tree branches decoration. Using floral spray paint, you could paint the branches white, silver gold or any color under the rainbow to match your event colors or home decor. Some of the novel ‘branches’ ideas include a curly willow branch can become decoration for your coffee table or side table; branches turned into bed posters; a branch into a chandelier with dangling candle lights over the dinner table; with other flowers and greenery for jaw dropping floral arrangements. Therefore, natural branches will add a rustic look to a wedding or special occasion. 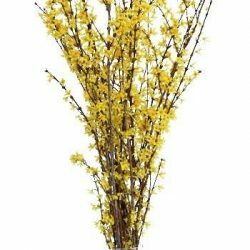 Buy decorative branches in bulk for weddings or other special occasion.